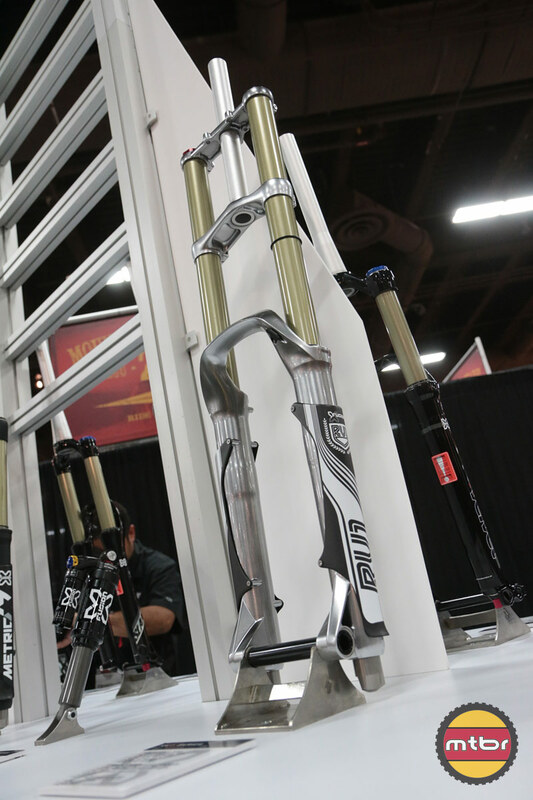 New for 2014 is the Metric 180mm Freeride fork with air spring Flux-Piston, Carbon leg guards, HLR damping system, and rebound adjustment. 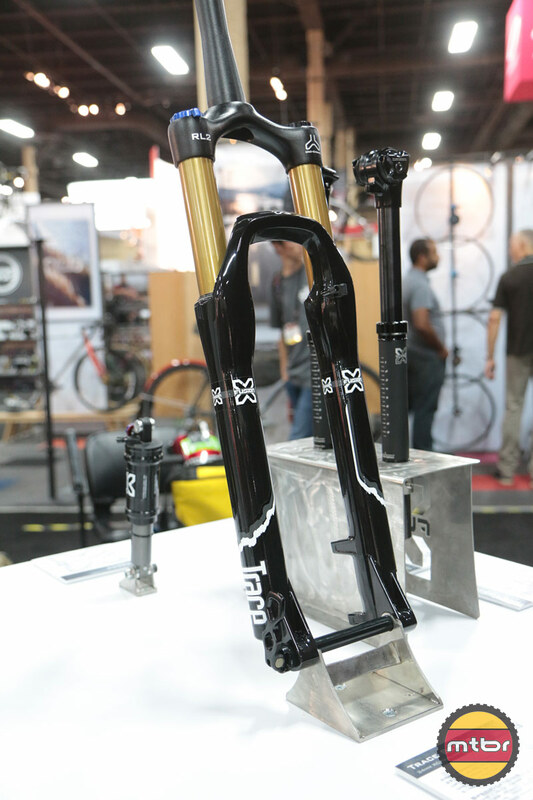 This lightweight fork will be available in November and will retail around $950-1000 for the US market. 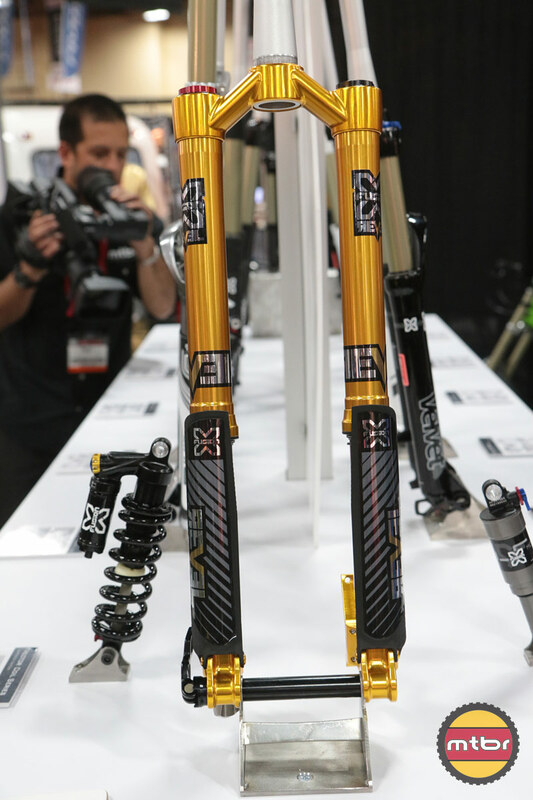 The RV1 (Race Version 1) is a new Downhill fork from X-Fusion that also includes the HLR damping system, rebound adjustment, Carbon leg guards and is coil sprung. It’s lightweight at 6.1 lbs and will be available in November for $1449 (Smoke Chrome) and $1399 (Matte Black). The RV1 and Metric both feature the Neutra-Valve bleed ports to release pressure built up in the lowers. 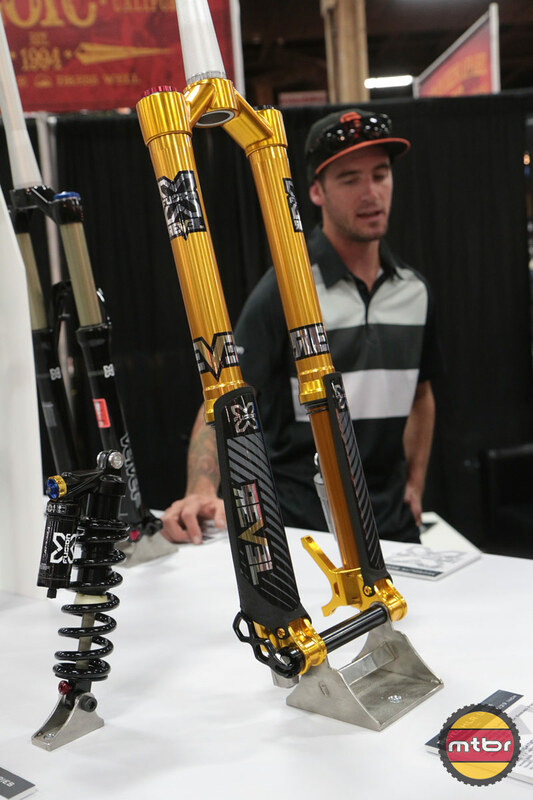 The brand new, exclusive Revel HLR upside down Trail/Enduro fork can be used for 27.5″, 29″ and 26″ wheels. 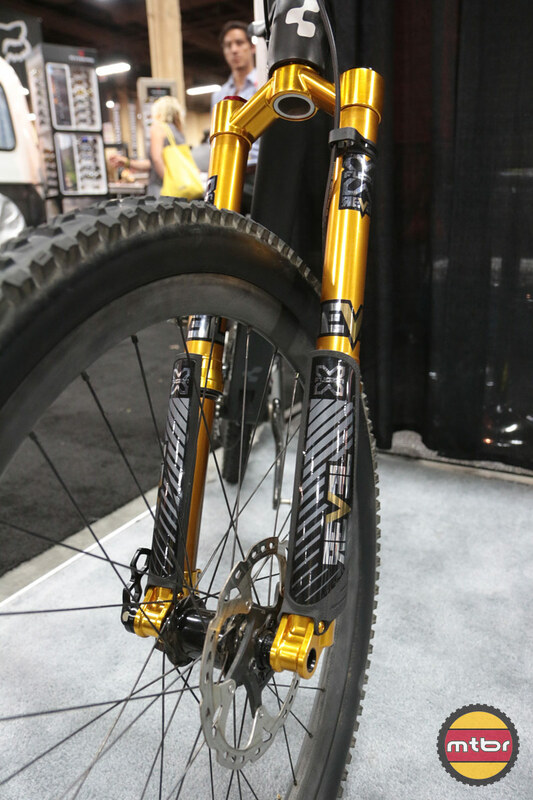 It features 160mm travel for the 27.5″ and 26″, 140mm travel for the 29″, X-Fusion’s patented Gold-E-Lock system, a 20mm axle, HLR damping system, rebound adjustment and a 2 spring air system. The Revel HLR will retail for $1776 with the option Lifetime Service available for $124. 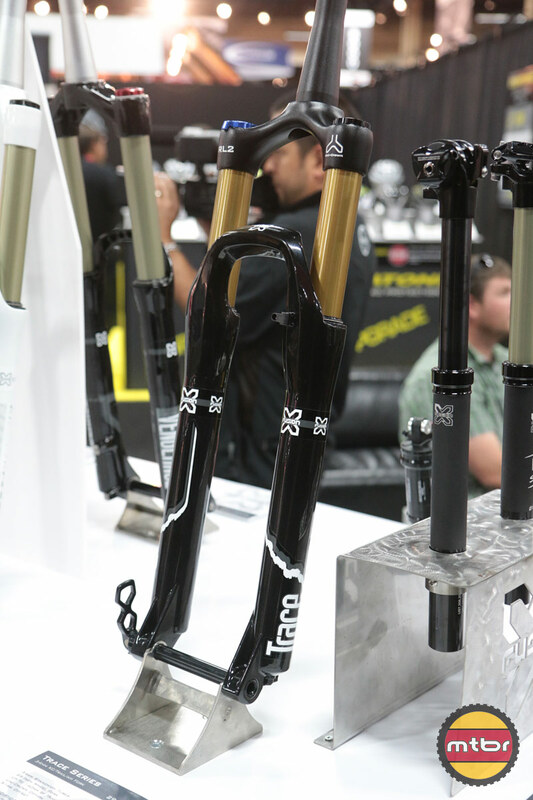 The Slant (26″), Sweep (27.5″) and Trace (29″) forks all get the new LockX axle system with 4 wedges that tighten down when you flip the QR lever. The Sweep is the same fork as the Slant, but with a dedicated offset for 650b. The offset for the 26″ is 42mm, the 27.5″ with a 46mm offset and the 29″ with a 51mm offset. The Trace also features the new Uni-Crown, a single piece crown steerer thats been forged and then machined down to reduce the material, but increase the stiffness. 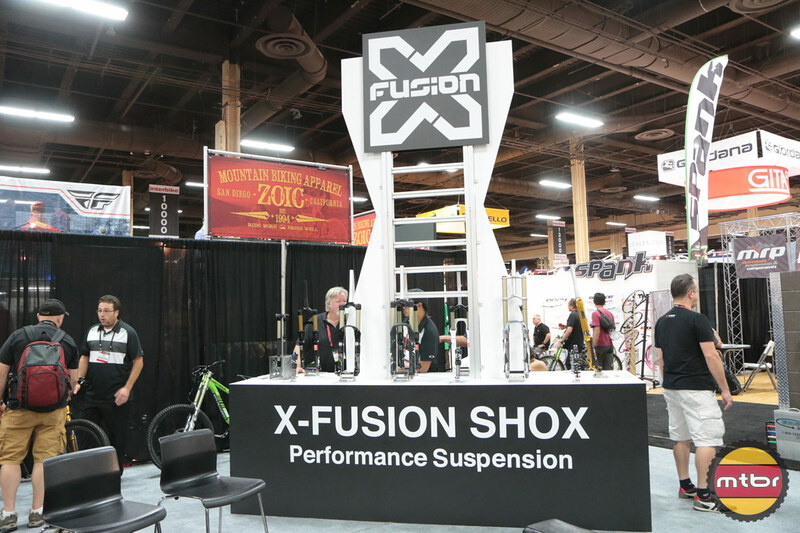 For more information visit www.xfusionshox.com. All new for 2014, the Metric is X-Fusion's latest entry into the enduro and freeride segments. 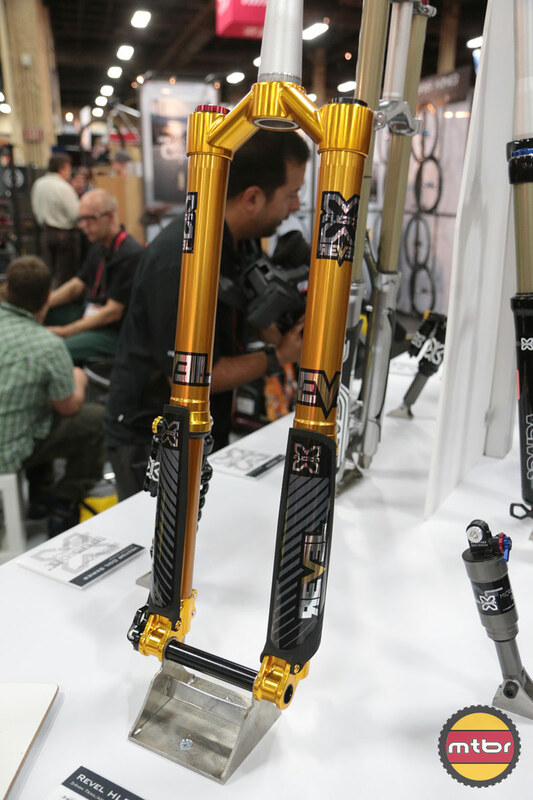 The Metric features a host of innovative features, including carbon leg guards to protect the magnesium casting, Neutra-Valve bleed ports to release pressure built up in the lowers, Flux-Piston air spring system to reduce internal seal drag significantly, and a superlightweight crown and casting design to create a 180mm travel fork at 2200 grams. Capable of using either 27.5 and 26 inch wheels, and utilizing our tried and trusted HLR damping system, the Metric is THE fork for performance minded riders everywhere. All new for 2014, the RV1 is X-Fusion's latest entry into the downhill segment. 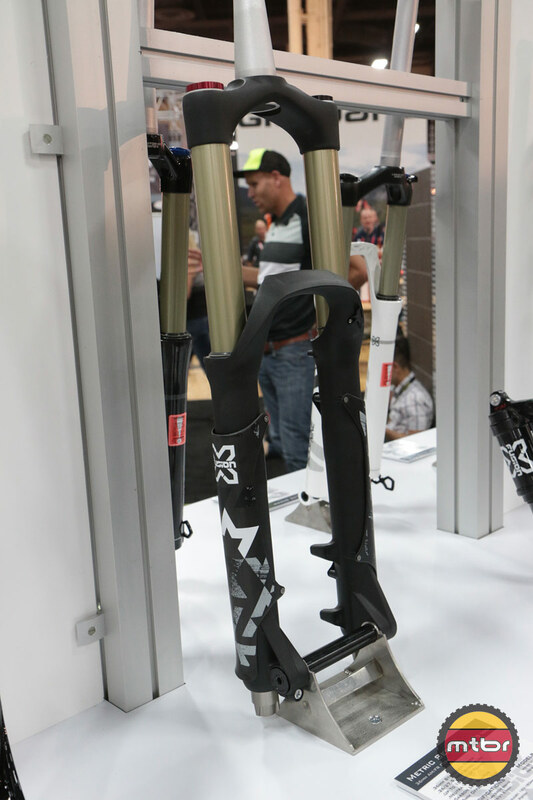 The RV1 features a host of innovative features, including carbon leg guards to protect the magnesium casting, Neutra-Valve bleed ports to release pressure built up in the lowers, and a super lightweight crown and casting design to create a 200mm travel fork at 2767 grams. Capable of using either 27.5 and 26 inch wheels, and utilizing our tried and trusted twin-tube HLR damping system, the RV1 is THE fork for performance minded riders everywhere. 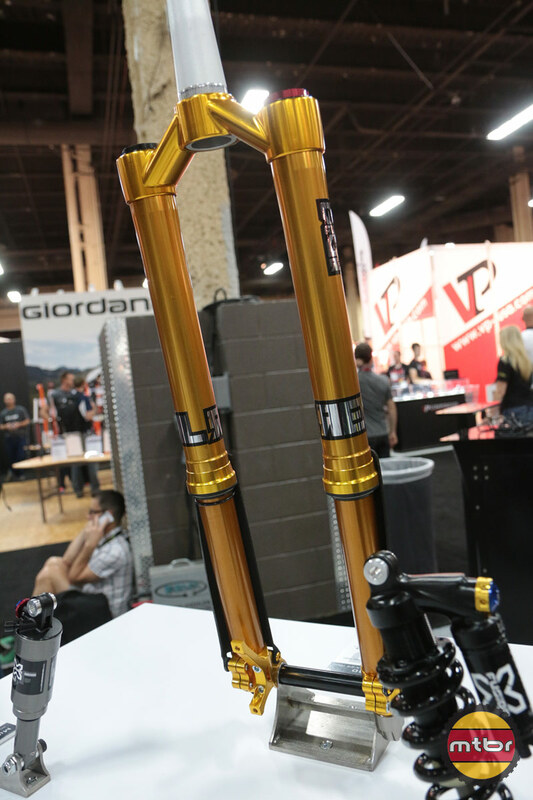 The Revel was designed for riders looking for performance they have never experienced in the trail/enduro fork market. The mission statement for this project was to create the best performing suspension fork in existence without cutting any corners or being held back by cost limitations. 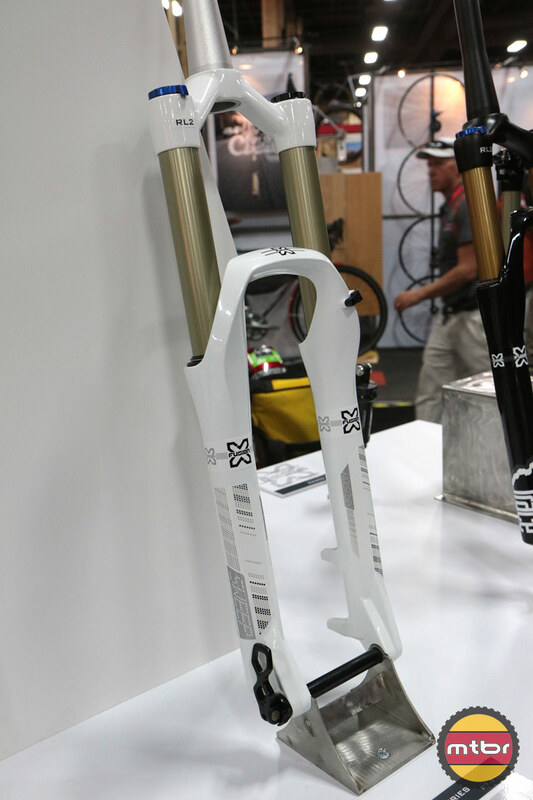 No detail was overlooked in the development of this fork and it will be manufactured in the US by X-Fusion USA. Limited quantities will be produced, as this is a special product for those who desire quality and exclusivity. Optimized Crowns for 26 and 27.5 inch wheels . Developed for the new progression of 29er bikes with longer travel and aggressive angles, the Trace offers a stout chassis with smooth & efficient damping. The RL2 damper will eat away the small bumps while the mid-valve provides unprecedented mid to ending stroke support. Also offered in the Trace line is the new Uni-Crown. The Uni-Crown is a single piece crown steerer that increases chassis strength at that junction by over 50%! With the Trace’s progressive new-school damping and light and stout chassis, riders will no longer have shy away from the most technical bits of trail but will be looking for what they can conquer next. Any info about their rear shocks? I’m wondering if they’ll start offering a remote lockout option for the microlite RL in 2014.